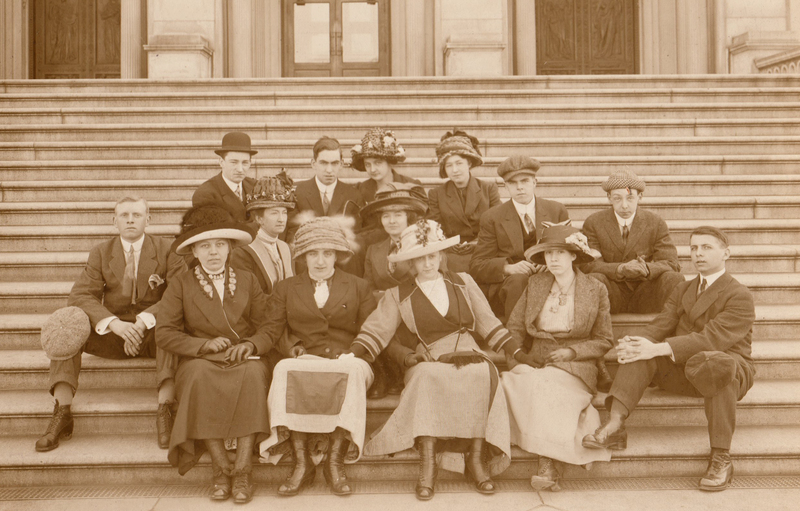 Two copies of the Maynard High School Senior Class of 1912, sitting on the steps of the Congressional Library while touring in Washington, D.C. Donated by Mrs. Ruth Clair. 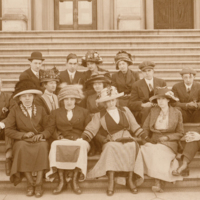 “Maynard High School at Washington, D.C - 1912,” Maynard Historical Society Archives, accessed April 24, 2019, http://collection.maynardhistory.org/items/show/284.